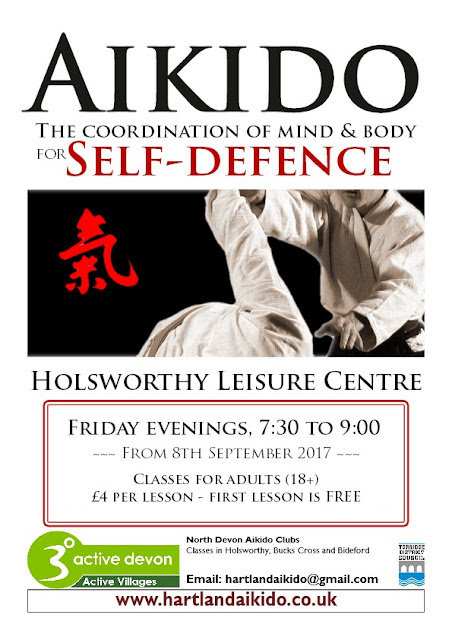 The Holsworthy class has now moved from Tuesdays to Fridays. From next week - September 8th - the Holsworthy Club will meet on Fridays only from 7:30 to 9:00. Details in the poster shown below. As always, everyone welcome! Sunday 24th September, 2017. Save that date! 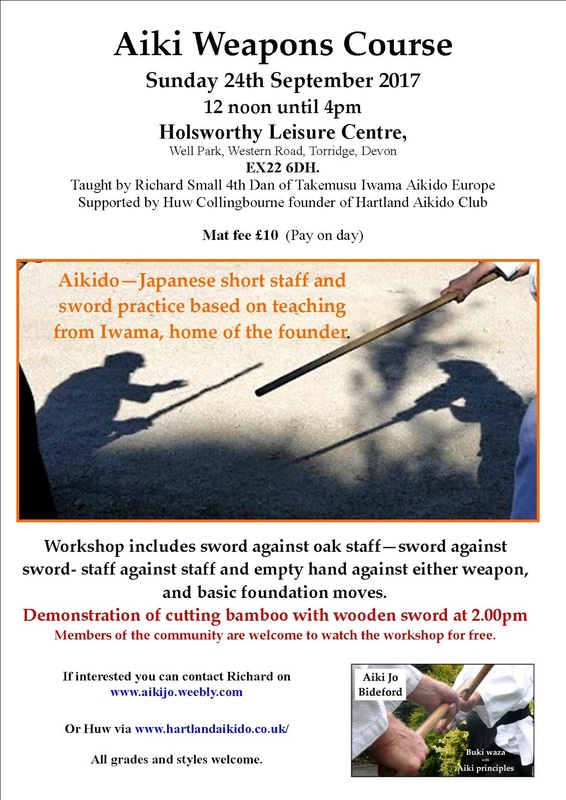 We shall be hosting an aiki-weapons workshop, taught by Richard Small (4th dan, Takemusu Iwama Aikido Europe), at the Holsworthy Leisure Centre North Devon between 12:00 and 4:00 in the afternoon. If you are interested in learning about the Iwama weapons system, don't miss this. Sensei Small will be teaching a broad range of jo and bokken techniques including weapon-against-weapon or against empty-hand. The cost is only £10. Everyone with an interest in weapons is welcome, no matter what level of experience or what style of aikido you practise. In fact, even if you practise a different martial art but want to deepen your understanding of weapons, this would be a great introduction. The post below gives more details.